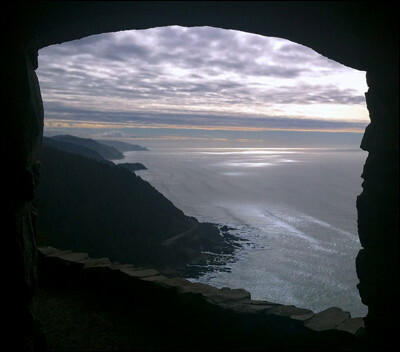 Looking south out the window of the stone shelter atop Cape Perpetua on the Oregon coast. You can see 70 miles of Pacific coastline from this spot, and 35 miles out to sea. The shelter was built in 1933 by the CCC (Civilian Conservation Corps).